HOUSTON (KTRK) -- A few seconds later and it could've been too late to save the life of a traffic accident victim in Shenandoah. Now, the officer whose quick-thinking actions are credited with saving the woman's life is being hailed a hero by his supervisors. 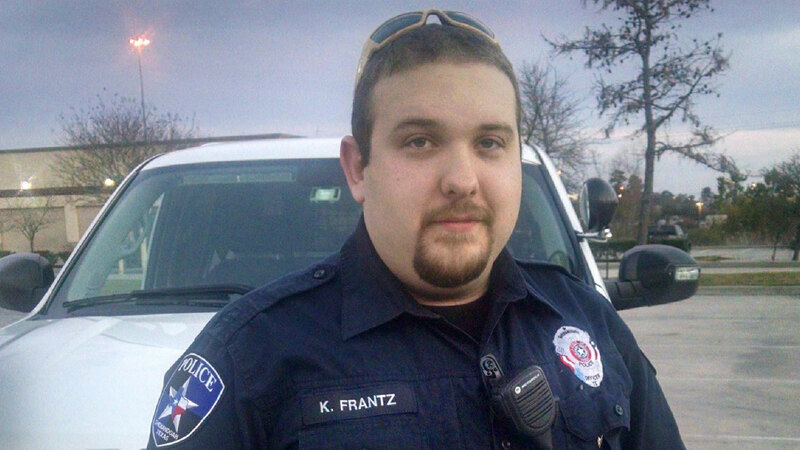 Officer Kevin Frantz responded to the January 14 rollover accident and found paramedics unable to control the victim's bleeding. Her finger had been amputated and she'd suffered severe trauma to her left hand. Paramedics were concerned they wouldn't be able to make it to the ambulance before she suffered life-threatening blood loss. That's when Officer Frantz pulled out his agency-issued tourniquet and put it on the victim, stopping the bleeding. The victim was transported to the Houston Medical Center in an unknown condition. Shenandoah Police Chief John Chancellor says officers were recently issued specialized belt holsters to carry their tourniquets and were trained on how to use them. "The benefit of tourniquet use is clear. They've been proven on the battlefield and proven on our streets. It is a necessary component of an officer's daily equipment and I am thankful that Officer Frantz used quick thinking and fast action to aid an injured victim," Chancellor said. Frantz is a six year veteran of law enforcement, having served both the Montgomery County Sheriffs Office and the Shenandoah Police Department.